Renderings of Casa Meridian, a new condominium complex, suggest that its wealthy buyers are investing in a glistening 414-unit skyscraper overlooking a placid, ocean-blue body of water surrounding Koh Pich island, which is sprouting a number of luxury towers developed by the Overseas Cambodian Investment Corporation (OCIC). In fact, the 31-story building sits next to a plant-clogged canal, just a few hundred meters away from two lagoons where the island’s sewage stews. A pungent stream flowing from the ponds into the Tonle Bassac river suggests that untreated waste is leaking directly into local waterways. In an interview earlier this month, OCIC project manager Touch Samnang said Aeon Mall and the Sofitel hotel were to blame for any nearby sewage discharge, explaining that Koh Pich’s waste treatment system was “too technical” to describe to a reporter. Environment Ministry spokesman Sao Sopheap said a new environmental impact assessment for the island was underway. 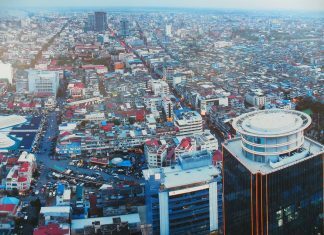 But with several of the under-construction towers already reaching twenty stories and advertising 2017 move-ins, it’s unclear whether the sanitation infrastructure can keep up with the island’s expanding skyline. 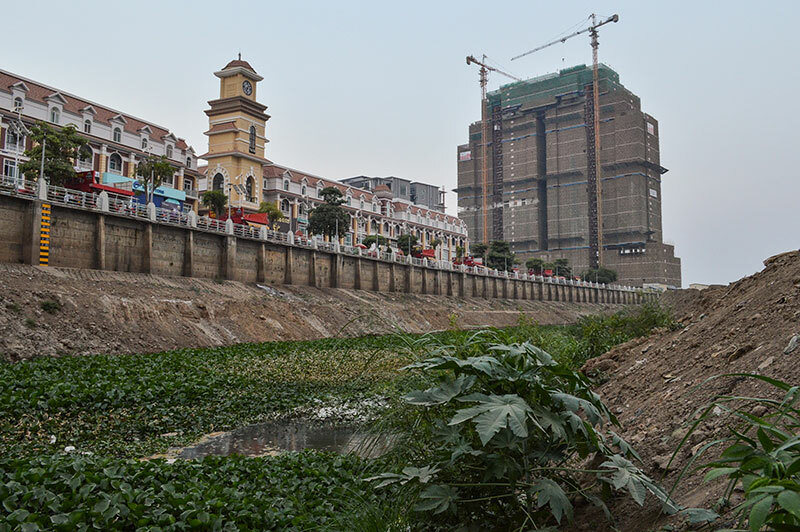 Across Phnom Penh, rapid development and slow planning for a new sewage treatment plant is likely to spell a smellier future as the capitol’s remaining wetlands —which currently serve as a natural treatment site for sewage—are swallowed by a massive satellite city. There is “really a need for a proper sewage treatment plant,” acknowledged Mr. Sopheap, adding that his ministry was working with City Hall and the Japanese International Cooperation Agency (JICA) on a 20-year master plan for the city’s waste treatment and seeking private investors for a new plant. 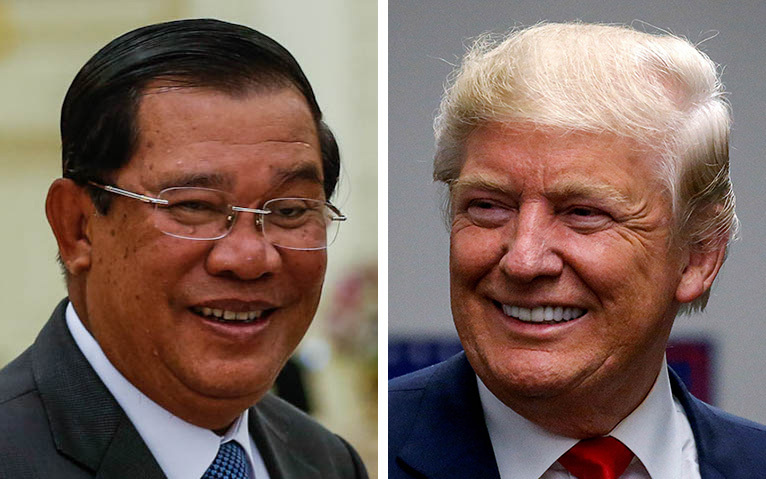 But the state of a six-year-old treatment plant in Siem Reap, where funding shortfalls have delayed basic maintenance and safety upgrades, suggests that a similar facility serving Phnom Penh may not be able to handle the city’s copious waste. 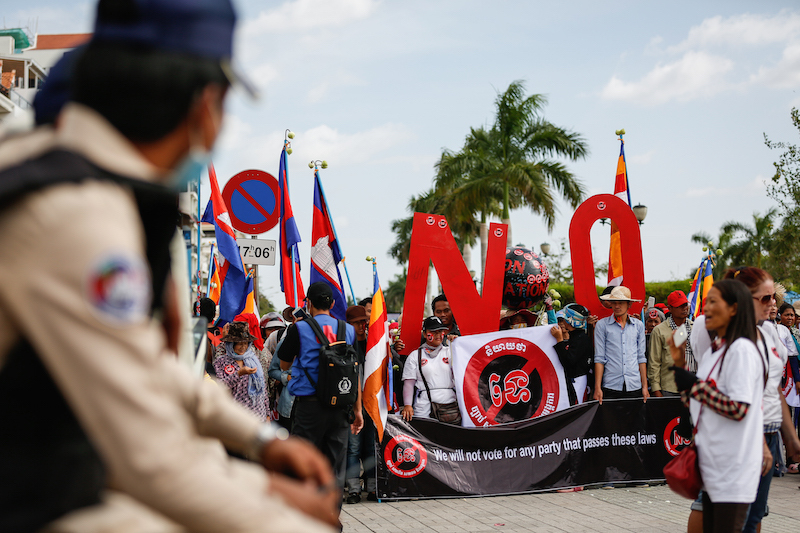 JICA adviser Togo Uchida conceded that construction a plant in Phnom Penh would be difficult, given the vast infrastructure and staffing improvements it would require. “We believe the investment cost will be quite high,” Mr. Uchida said in an email. 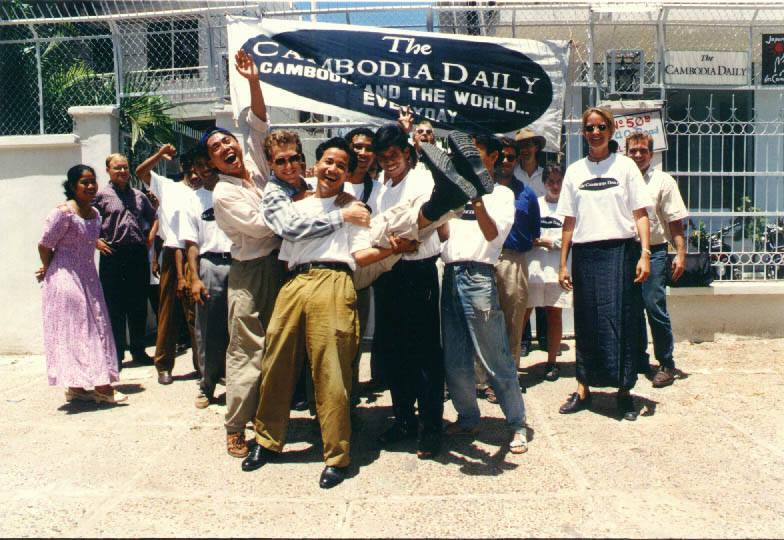 “Less than 10 years ago, Phnom Penh was unbelievably blessed with natural water treatment infrastructure,” Mr. Hand said in an email. But in a report published last year local housing rights group Sahmakum Teang Tnaut notes that 15 of the 25 lakes and canals it investigated had been lost to development in the past 20 years. “By filling in the natural wetlands, the city has ‘thrown its babies out with the bathwater,’” Mr. Hand said. Under the current system, wastewater mingles with stormwater and other drainage as it travels from toilet to treatment in the lakes, according to JICA’s Mr. Uchida. That drainage system—much of it built by JICA as part of a three-phase project that began in 1998 and ended last year—is designed to ferry most of the city’s sewage south to the Boeng Trabek pumping station and several other sites. Farmers grow morning glory in the nutrient-rich waters, and the plants provide basic treatment for the wastewater. During storms, however, so-called “solids” and other waste are swept with the rainwater out of the city’s sewers and into its waterways and even its streets. But overconcentration seems increasingly likely, as most of the lakes south of the city are being gobbled up by the 2,752-hectare ING City. Renderings of the projects on the website of developer ING Holdings show the sprawling Boeng Choeung Ek lake replaced by developments ranging from government office buildings to a retirement community for elderly Chinese residents. ING declined to comment on the project. Former municipal spokesman Long Dimanche said the remaining 520 hectares of lake would be sufficient until a sewage treatment plant was built. “City Hall will keep the size of the lake to more than 500 hectares to act as a wastewater treatment site,” he said, claiming there would be “no impact” from the infilling of the other lakes. Wetlands Work project manager Irina Chakraborty, an environmental engineer, is less sure. The lakes may reach a concentration of human waste that can’t be absorbed by plant life, she explained, meaning that “those nutrients are going to go somewhere else”—most likely the river. Unlike Mr. Dimanche, Mr. Uchida said he was not confident that the plant would come to fruition before the lakes were overwhelmed. “Development is happening right now,” he said—in many cases without city approval or planning, whereas planning a new plant designed with a long-term vision was proving more complicated. The complications begin with who will oversee and maintain operations. The current lack of sanitation infrastructure means that “they don’t have a department, they don’t have a staff,” Mr. Uchida said. Then there’s the question of funding a plant large enough to handle Phnom Penh’s monsoon rains and waste. “In the case of Phnom Penh, where you receive such a large amount of water in such a short amount of time, it’s going to have to be quite big,” Ms. Chakraborty said. Maintaining funding presents still more problems. Siem Reap’s $14.4 million wastewater plant opened in 2010 with a ribbon-cutting ceremony attended by Prime Minister Hun Sen. The cost of construction was covered by an Asian Development Bank loan, and authorities had hoped that collecting user fees would sustain operations. Six years later, the plant is struggling to find enough funding for repairs and equipment, and it does not meet its own operational and safety standards, according to the plant’s lab manager, Dany Dourng. As a result, Ms. Dourng said, workers are venturing into manholes without proper safety equipment, pipes are leaking wastewater, and equipment is becoming damaged. In many Western cities, it took public outrage to convince authorities to upgrade sanitation systems. “The sewer system of New York City is an abomination, a relic of the pre-sanitary age, when it was thought that the way to get rid of such objectionable matter as sewage was to set it down the hill running into water,” The New York Times wrote in 1890. The situation was so bad that “floating screens were constructed at the beaches on Coney Island to protect bathers from wastewater in 1886,” according to a report by the New York-based Cary Institute of Ecosystem Studies. Likewise, it took London’s Great Stink of 1858—with a summer smell so pungent that Parliament’s curtains were soaked in chloride of lime to overcome the odor—for the government to establish a comprehensive drainage system. “The logical conclusion is that people who are investing all this money in this land are not going to want to live next to a stinky area,” she said.